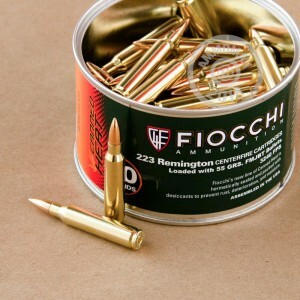 Fiocchi "canned heat" (packaged in 20 cans of 50 rounds each) is an excellent choice for stocking up on .223 Remington ammo you don't plan to shoot right away. These sealed cans keep out rust, moisture, and other performance-degrading elements so you can open the can at any time and load up some mags for your AR-15 with confidence. This ammunition fires a 55 grain boat tailed full metal jacket bullet with similar ballistics to M193 ball rounds. 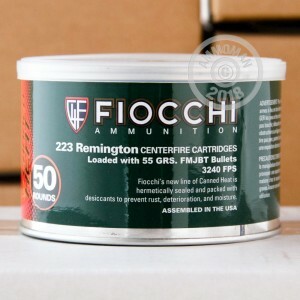 It is loaded at Fiocchi's US facilities using non-corrosive Boxer primers and brass cases. 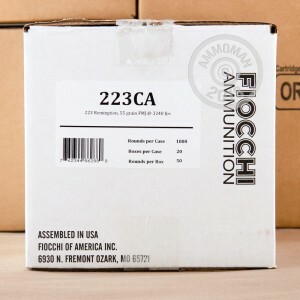 Grab this 1,000 round case and get free shipping at AmmoMan.com!